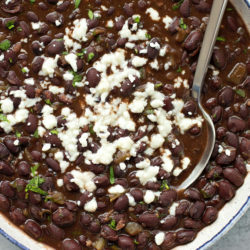 Delicious and easy restaurant style black beans. 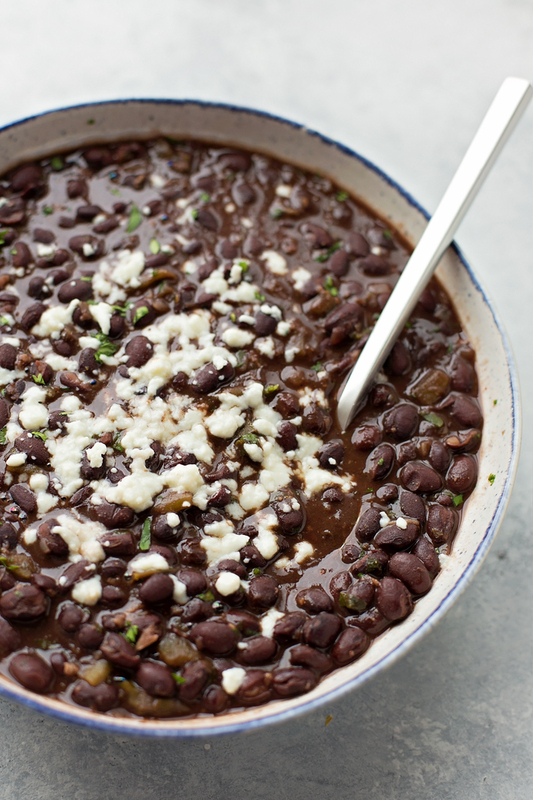 These beans are loaded with flavor and are perfect alongside ANY Mexican entree! 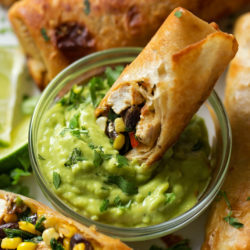 With Cinco de Mayo a week away, I thought it would be appropriate to share some of my favorite Mexican inspired dishes. I already have quite a few in my recipe index, however, there are some that I make time & time again (like these beans) that I haven’t posted. 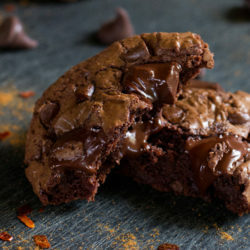 I’ve have a few people request that I share this particular recipe, so here it goes! 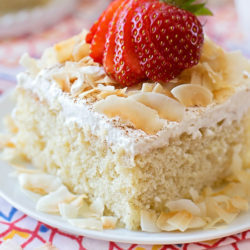 It’s been three years since I first developed this recipe, and we still love it! It took quite a while for me to get the seasonings right, but once it did, we never looked back. 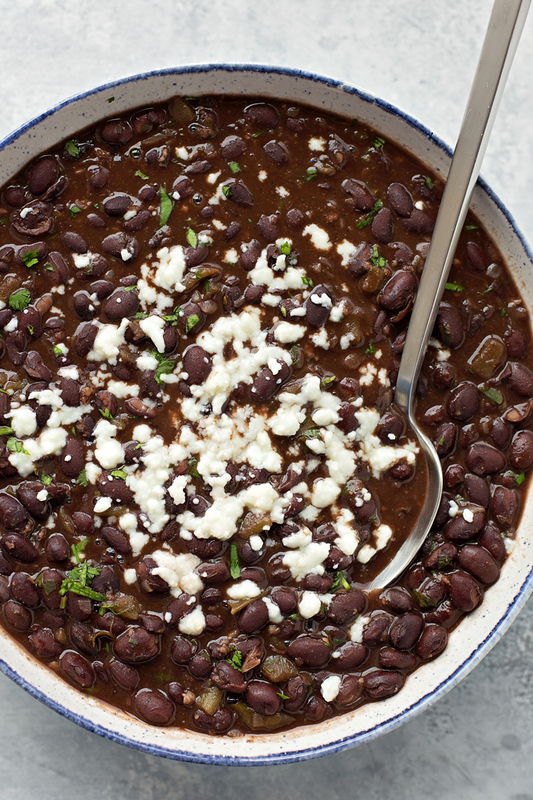 To start, you’ll need two cans of low-sodium black beans. Yes, we’re using canned beans, just trust me. You’ll also need low-sodium chicken broth, a can of diced hatch chiles (medium, mild or hot), red onion, cilantro, garlic and a handful of pantry staple spices. Grab a heavy bottom pan, sauté the onion and garlic in a little bit of olive oil, dump everything else in and let the stovetop do ALL the work! Seriously, you can simmer these for up to an hour. I generally let them go for about 30 minutes, but if I’m waiting on something else to finish cooking, I’ll turn the heat down low and let them do their thing. P.S. I apologize for the random post schedule lately, this year is going to be a bit chaotic for us! Details to come! In a medium heavy bottom saucepan set over medium-low heat, add the olive oil. When the oil is hot, add the onion and cook until soft, about 2-3 minutes. Add the garlic and cook for 1 minute. Add the green chilies, chicken broth, black beans, salt, chili powder, coriander, cumin, paprika, oregano, cayenne pepper, and cilantro. Turn the heat up to medium-high and bring to a rapid simmer. 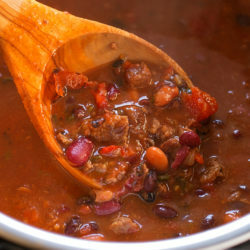 Reduce heat to medium-low, cover and cook for 30 minutes (or up to an hour), stirring at the 15 minute mark. 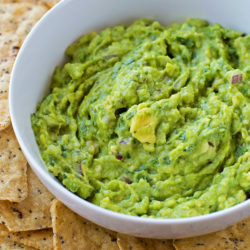 Remove from the heat, transfer to a serving bowl and garnish with additional cilantro and queso fresco, if desired. 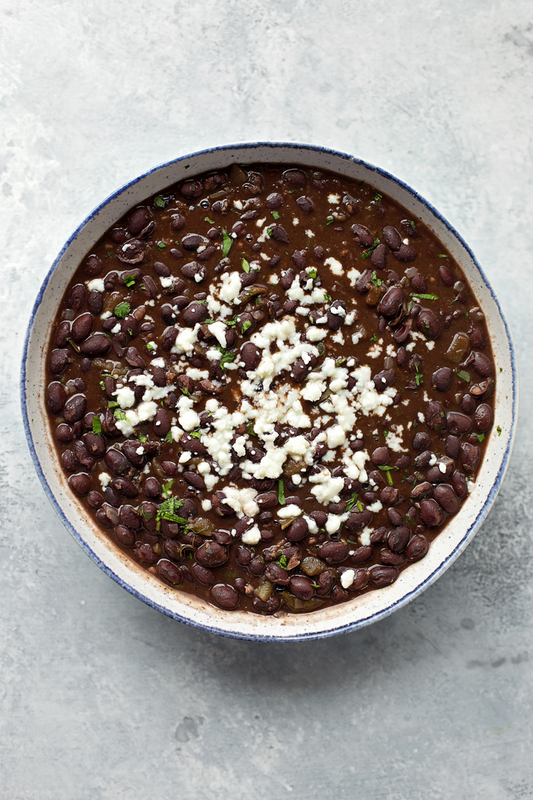 Don’t want to use black beans? 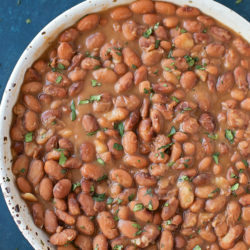 Pinto beans work well too! Oooh thanks for this. Haven’t had good black beans since I was back in the US last year, as the ones I’ve tasted here in Vienna are a bit bland. Will definitely be trying your recipe — will just substitute the chicken broth for an organic veggie broth I buy here which is amazing (I’m vegan, so chicken broth is a no go 🙂 ). 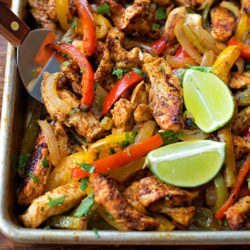 Thanks so much — I miss my fix of good American-style Mexican food!! 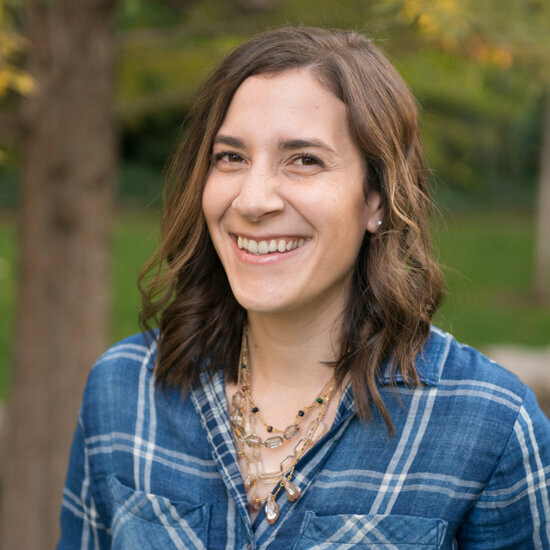 Nice photos on your site too! 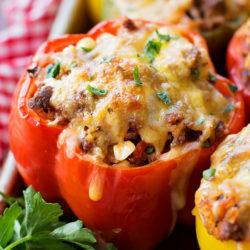 I’m trying these for a potluck today. Do you have to drain the beans first? Nope! You want all of that liquid! Hi! 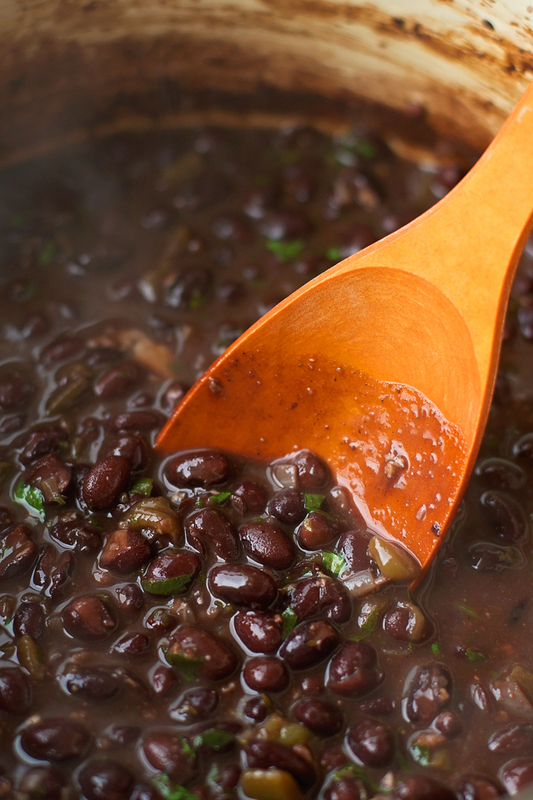 Do you drain and rinse the beans first? Nope, you want all of the liquid. Enjoy! This sounds delicious! My husband is worried that canned beans would get mushy?